Kailua Beach is located in the town of Kailua on the east side of Oahu. Parking for this beach is relatively easy to find, as there are designated parking lots for it (unlike Lanikai Beach). 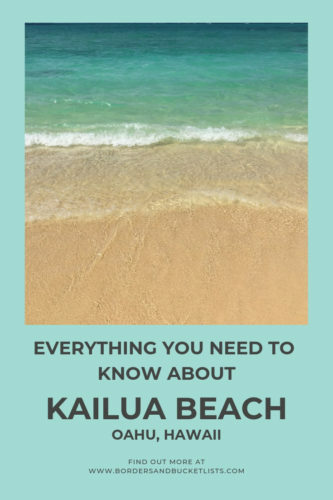 When Is the Best Time to Go to Kailua Beach? Just like Lanikai Beach, there isn’t a specific time of year when it is better to visit Kailua Beach. The conditions of wave size and current are consistently calm, which is perfect if you are looking for a relaxing beach. As for the best time of day to visit, I prefer to go in the morning, simply because most people have not made their way over to this beautiful beach just yet. What Can I Do at Kailua Beach? The Kailua area tends to be sunny all year round. That means, there will likely be some sun for you to lay under and enjoy. As mentioned before, the water at Kailua Beach is very calm. There are practically no waves, and the current is minimal, which makes it one of the perfect beaches on Oahu to just float around and relax at. Unlike Lanikai Beach, Kailua Beach has a grassy area with quite a few trees. So rent, buy, or bring a hammock and use it as a comfy place to read a book, take a nap, or just stare at the stunning view. Between its turquoise waters and bright white sand, Kailua Beach is one of the most beautiful places on the island of Oahu. So take a few pictures for yourself to remember this stunning destination. Or, if social media is your thing, you can take some pictures for that too! Are you a little bit too nervous to kayak out to the mokes on your own? Kailua Beach Adventures also offers a guided kayaking tour! If you’re looking for a different Oahu kayaking adventure, here are six more options! Are There Any Restaurants Near Kailua Beach? One HUGE advantage that Kailua Beach has over Lanikai Beach is the fact that there are restaurants within walking distance! That means that you won’t have to abandon your valuable parking spot, just to grab some food. Kalapawai Market is one of the closest restaurants to Kailua Beach, as it is only a two-minute walk! If you’re looking for some fresh, quick sandwiches and some baked goods to take with you to munch on at the beach, Kalapawai Market might be the best pick for you! *Note: be sure it’s not Kalapawai Café & Deli. That is quite a bit further. I’m going to be honest. The only reason Buzz’s Steakhouse is on this list is because it is a literal one-minute walk from the beach. So if you want some pretty decent food for the shortest walk possible, this is the restaurant for you. Kono’s is personally my favorite place to grab something to eat when I’m near Kailua Beach. Although it is a twenty-minute walk from the beach, they have fantastic kalua pig! This traditional Hawaiian food is incorporated into nearly every single one of their dishes! I usually opt for one of their “bombers” (breakfast burritos), which are so good! If you’re in a breakfast mood and it’s still rather early in the day (they close at 1 p.m.), head over to Over Easy! This brunch place with rave reviews for their crispy edge pancakes and kalua pig hash is twenty minute walk from Kailua Beach. If you’re really feeling the healthy island lifestyle vibe, Nalu Health Bar & Café is probably your best bet. 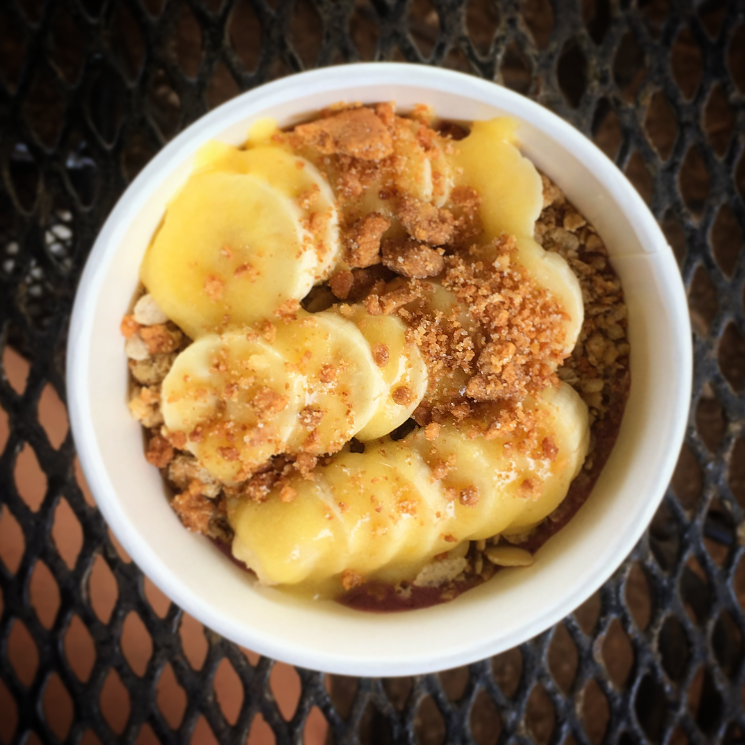 While this trendy café is a twenty-minute walk from Kailua Beach, it has just about any healthy food item you could want – from fresh juices to acai bowls to veggie wraps to salads! Are There Any Hotels Near Kailua Beach? 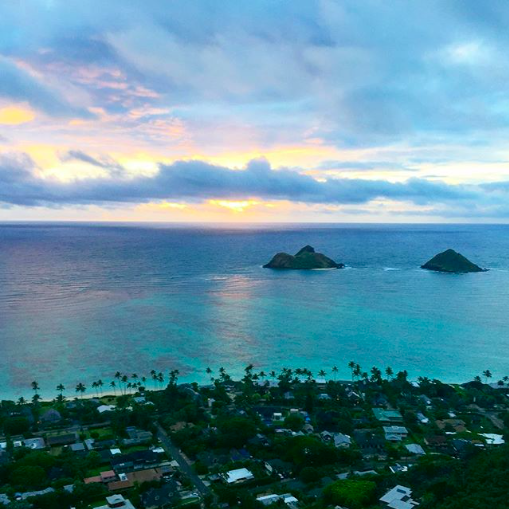 There are no hotels in the entire city of Kailua. If you are looking for accommodations there, your options are bed & breakfasts or Airbnbs. Sharon’s Serenity is a fully licensed bed & breakfast that is only a five-minute walk from Kailua Beach! If you prefer a full kitchen instead of the prepared breakfast, that is also an option. There is even a pool at this cozy little accommodation! Room rates for Sharon’s Serenity start at $100 per night. This quaint little bed & breakfast is also not very far from Kailua Beach. With just two units available, this is the perfect little getaway if you’re trying to get away from the crowds. There is also a pool and a lanai (balcony) for guests to use. Room rates for Papaya Paradise Bed & Breakfast start at $100 per night. The Sheffield House Bed & Breakfast follows the Kailua theme of quaint and cozy, as this accommodation also only offers two units. Just like the other two bed & breakfasts on this list, this one is also just a couple of blocks away from the beautiful sandy shores. Room rates start at $134, but this depends on the unit and the season. 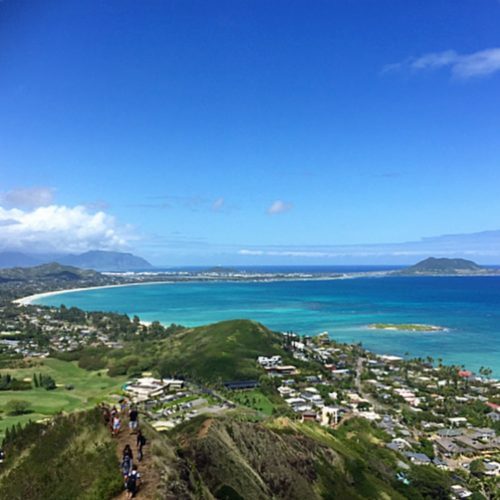 There are over 100 Airbnbs located within walking distance of Kailua Beach! Airbnb rates in this area cost between $80 per night and $1,200 per night, depending on the property. Looking for another stunning Oahu beach? 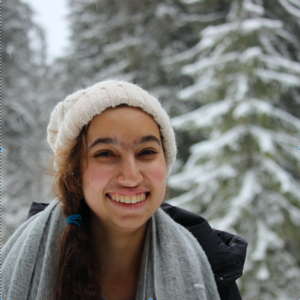 Here’s a list of ten that you might enjoy! 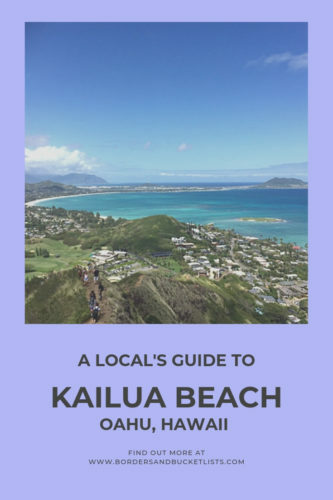 Hoping to visit Kailua Beach on your dream Hawaii vacation? Pin this post for later! 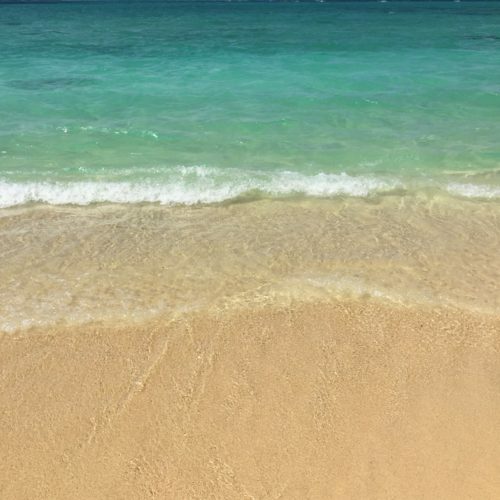 Wow Kailua Beach looks like a great getaway! I could go for a nap in a hammock or just enjoying that crystal blue water! Haha it’s a great place to do both of those things!! I’ve never heard of Kailua Beach before now, but it looks so beautiful I’m surprised I haven’t. Great guide! The food options look delicious, and I would love to sleep in a hammock! It’s honestly usually overshadowed by its supposedly more secret Lanikai Beach. But Kailua beach has all the parking, and it’s closer to the food. Oh, and of course, it has trees for hammocks lol. I will be in Hawaii next month so this is a really helpful post for my trip planning. It looks beautiful. Ooh perfect! If you’d like, you should take a look around the site, because there is A TON of local tips for Hawaii scattered around :). What a magical place. I would love to lay in the sun, join a kayaking tour, walk to some of these amazing restaurants and relax at a nice bed and breakfast which seem pretty reasonably priced! Great post.